The FDX68 is an add-on device to the Raspberry Pi 3B / 3B+ (and potentially newer revisions) that enables one to emulate an X68000 floppy drive on a real X68000. This wiki page was created to mirror information found on the original creator's web site. Please reference the original web site first for the most up-to-date information. The X68000, like many other devices made in the 1990's and earlier, uses ICs that communicate on 5V rails (0V = binary 0, 5V = binary 1). Modern electronics, use 3V rails (or even less). Hence, one can't connect a micro computer like a Raspberry Pi to an X68000, as the data bus voltages are not compatible. 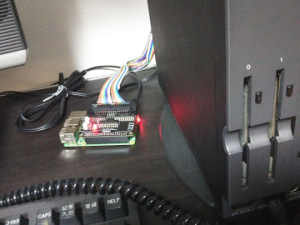 The FDX68 is a device that plugs into the Raspberry Pi, and voltage converts between a Pi and X68000 floppy drive port (both internal and/or external). The actual emulation of the floppy drive happens in software; a very clever Linux application that runs on the Raspberry Pi. 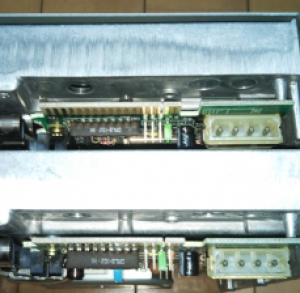 The FDX68 emulates 2 FD at the same time; external jumpers set which drives to emulate (0/1 internal, or 2/3 external). Lastly, LEDs are included on the device to show you drive activity. System will not boot a hard drive if FD0/1 are not present. 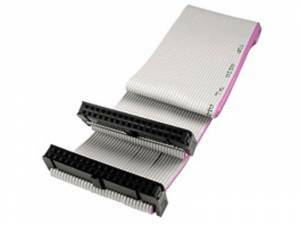 So you must always have FDX68 running as drive 0/1 or you must have internal drives connected as 0/1 if booting SCSI devices. 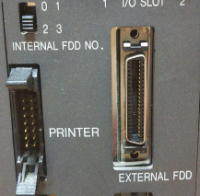 The external FDD connecter is labelled “EXTERNAL FDD” on the back of the X68000. This is a very unusual port known as the “miniature delta ribbon (MDR) 40 position female connector”. In order to connect an external device to this port an MDR 40 position male connector is necessary. 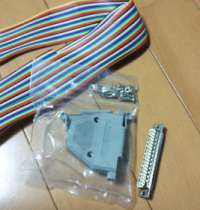 The FDX68 author made a cable for converting this port to a standard 34-pin ribbon cable connector. One should be able to purchase the MDR 40 position male connector at many online retail stores. You will also need to purchase matching enclosure shell for the connector. When making your own cable to convert from MDR 40 to the 34-pin connector found on the FDX68, the following conversion table should be referenced. The pin assignment for creating the conversion cable is as follows. After soldering the pins, one should confirm they cable is soldered correctly using a voltmeter. To use the internal FDD as the first and second boot drives (drive A: and B:) and the FDX68 emulated floppy disk drives as the third and fourth drives (drive C: and D:) do the following. Set the “INTERNAL FDD NO.” switch on the rear of the X68000 to 0,1. Next, set the FDX68 jumpers to location 2,3 for both DRV and OPT as shown below. The X68000 can still boot a system from the FDX68 as long as no bootable floppies are found in the internal FDDs. It is also important to note that although games will boot from drives 2,3 many multi-disk games will only search for additional floppy disks in drives 0,1. 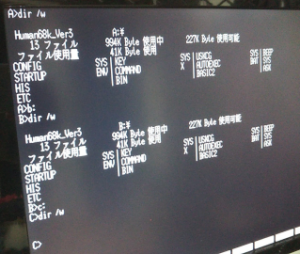 This configuration is useful for booting HumanOS, or single disk games. It is also useful when the FDX68 emulator is not running but you still desire a bootable system. To use the FDX68 emulated floppy disk drives as the first and second drives (drive A: and B:) and the internal FDD as the third and fourth disk drives (drive C: and D:) do the following. Set the “INTERNAL FDD NO.” switch on the rear of the X68000 to 2,3. Next, set the FDX68 jumpers to location 0,1 for both DRV and OPT as shown below. This configuration will allow you to use multi-disk games using the FDX68 FDD emulator with no drive number issues. But the FDX68 must be running at startup. 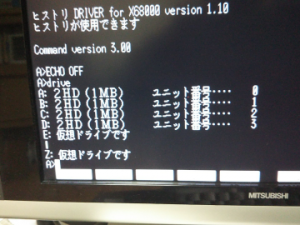 If drives 0,1 do not respond on boot-up (even with no disks) the X68000 will not boot (even when trying to boot to a hard drive). 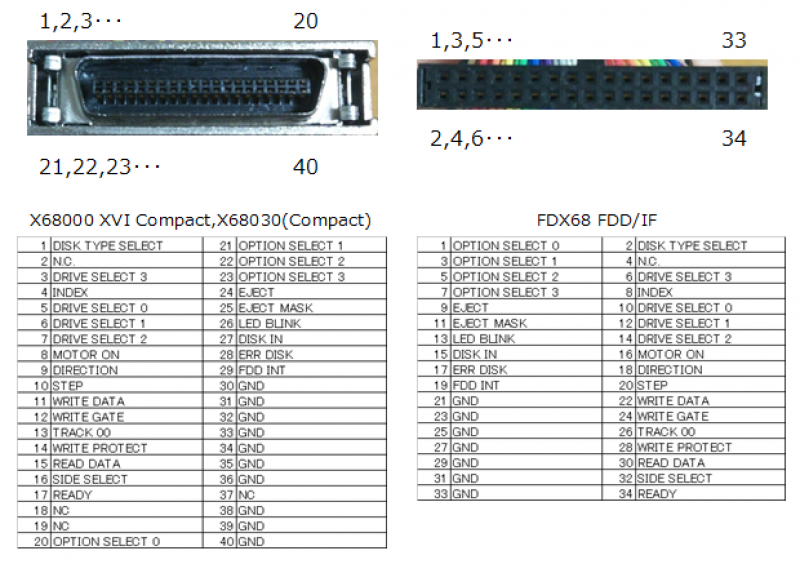 If you want to start your X68000 with the FDX68 disabled, change the “INTERNAL FDD NO.” switch back to 0,1. FDX68 can emulate both XDF as well as FDX images. In this example, we will first convert an XDF image to FDX and then load it into the emulator. 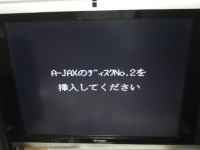 Let's convert the system disk image of Human 3.02, which was released free of charge in XDF format. For image conversion, we use the fdxconv ​​utility. If you run fdxconv ​​with no arguments, a simple help screen will display with usage instructions. fdxconv ​​automatically determines the conversion process to use by using file extensions of the input and output files. SRCFILE is source image file path. DISKNO is disk number of multi image format, Default is 1. DESTFILE is destination image file path. Here's an example of converting from XDF to FDX format. Because the original XDF image has only data sectors, it's only 1.2Mb big, but when converted to FDX format it will grow to about 5.5Mb. As you can see in the picture below, there are no floppies inserted into X68000 Compact and it is booting from the FDX68. After the system has booted, one can use the drive command to list what floppy disk drives the X68000 has detected. One can see that the X68000 recognized a 4 drive configuration and that we are able to access the 2 emulated floppy disk drives. Note that “&” is appended at the end of the command line to load the FDX68 service in the background and return command line control back to the user. Next, we check whether FDX68 is running in the background. We search for it using the ps command. 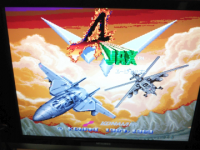 You can now turn on the X68000 and try to boot AJAX. After loading the disk for a while, you will be prompted to insert another disk as shown below. At this time, the floppy disk in drive 0 is ejected. In the above examples, the floppy disk images were converted to the FDX format prior to usage. The FDX68 FDD emulator fddemu can start without converting the image first and supports other images formats, such as XDF or D68 (it automatically converts to FDX in memory) It is important to note that any format outside of FDX will not save back to the disk image. This is convenient for launching applications and games that do not need save feature. If you do require the ability to save back to disk, you will need to convert to FDX first. 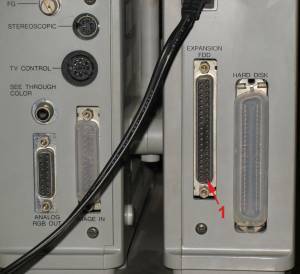 The external floppy disk drive connecter is labelled “EXTERNAL FDD” on the back of the X68000. This is a pretty common connector known as the “D-SUB 37 pin female connector” or DB37. In order to connect an external device to this port a Db37 pin male connector is necessary. One should be able to purchase a DB37 pin male connector at many online retail stores. You will also need to purchase the matching enclosure shell for the connector. Lastly, you will require a way to connect this to the FDX68. 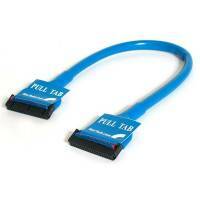 A standard floppy disk drive cable (ribbon or round) will work well. When making your own cable to convert from DB37 to the 34-pin connector found on the FDX68, the following conversion table and FDX68 pinout should be referenced; match the description of the pins and solder accordingly. After soldering the pins, one should confirm they cable is soldered correctly using a voltmeter. 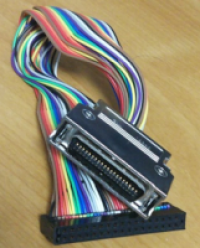 NOTE: The DB37 connector should have numbers on them. Follow those numbers. Don't get confused by the picture below as the pin numbers are different depending if you look at the front or the back of the connector. It is not possible to change the ID of the built-in floppy disk drives with a switch on the rear. 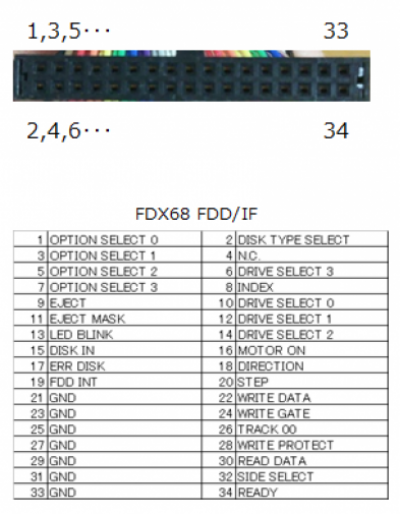 Therefore the internal FDD are always assigned the first and second boot drives (drive A: and B:) and the FDX68 emulated floppy disk drives as the third and fourth drives (drive C: and D:) you must set the FDX68 jumpers to location 2,3 for both DRV and OPT as shown below. The X68000 can still boot a system from the FDX68 as long as no bootable floppies are found in the internal FDDs. It is also important to note that although games will boot from drives 2,3 many multi-disk games will only search for additional floppy disks in drives 0,1. This configuration is useful for booting HumanOS (to install SASI boot loader into SRAM, or change SRAM configuration), or single disk games. This configuration will allow you to use multi-disk games using the FDX68 FDD emulator with no drive number issues. But the FDX68 must be running at startup. If drives 0,1 do not respond on boot-up (even with no disks) the X68000 will not boot (even when trying to boot to a hard drive). Using the FDX68 software to emulate the floppy disk drive, mount/unmount images, convert images, etc. is the same on all systems. Please refer above for instructions on how to use the software.